It’s been an interesting past few months for Android apps, with Google being very busy, indeed and some popular services finally making their way to Android. 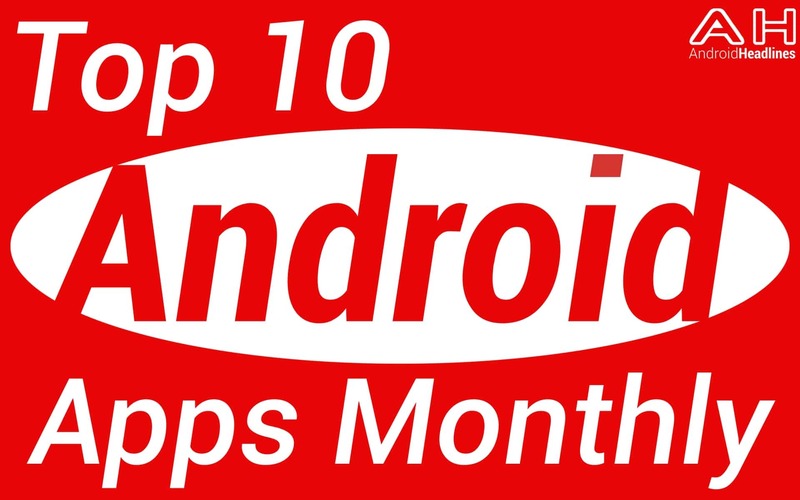 In no particular order, here’s our Top 10 Android Apps for the month of May! We covered Chrome Remote Desktop when it launched a little while ago, including a quick how to on how to get it set up on your machines. While there are plenty of remote desktop apps out there for Android, it’s arguable that setting up Chrome’s version on a host PC is the easiest and this nifty Android app is an excellent way of getting to remote machines from anywhere. If you’re a Chrome user anyway, this is genuinely useful to have setup on your machines, even more so now that a native app has come to Android. If you’re unfamiliar with IFTTT, you won’t know that it stands for “If This Then That” and that it’s one of the greatest ways to deal with social media and beyond. 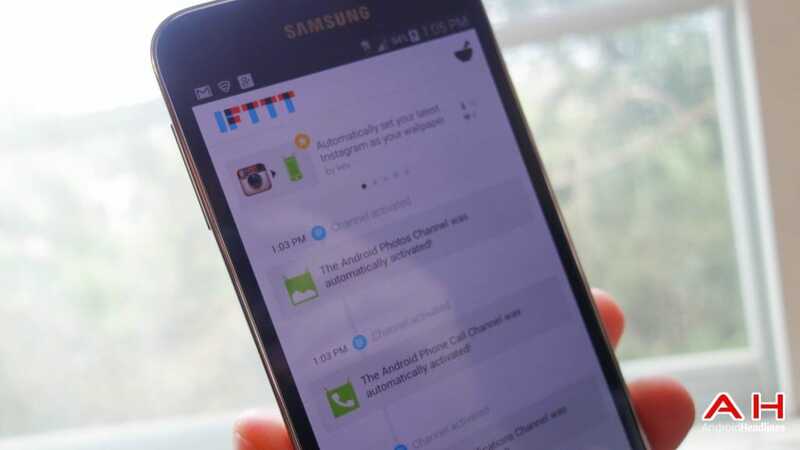 A better way to tackle the Internet at large, IFTTT for Android offers users the ability to set up “recipes” like when an app is updated you can use IFTTT to tweet about it or something else. It’s one of those apps and services that you really have to use yourself in order to figure out why you want to use it, once you do of course, you might find yourself wondering how you ever lived without it. Waygo is one of my personal favorites from this month. As someone who studied Japanese at school, I can tell you how difficult the world of Hiragana, Katakana and Kanji can be. Put all three together and your brain will melt. Of course, it’s even worse for tourists that have no idea what on earth they’re looking it, traveling in Japan and China can be a pretty tough experience with little to no language skills. 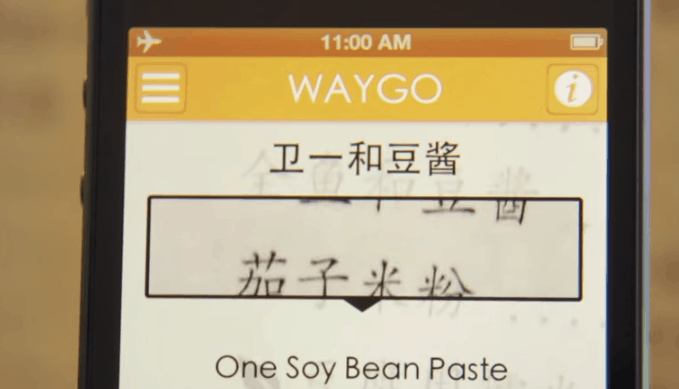 This is where Waygo comes in, it works just like Wordlens does (which has helped a number of times from getting lost in Europe) and translates Japanese or Chinese characters to English, right before your eyes. Heading to Japan or China soon, go download this now. Do we have enough weather apps already? No, of course we don’t – that’s silly talk. Let’s face it, since HTC introduced us to pretty weather with the first versions of Sense, we’ve been obsessed with finding out – in the most attractive way possible – just what the weather is going to be. 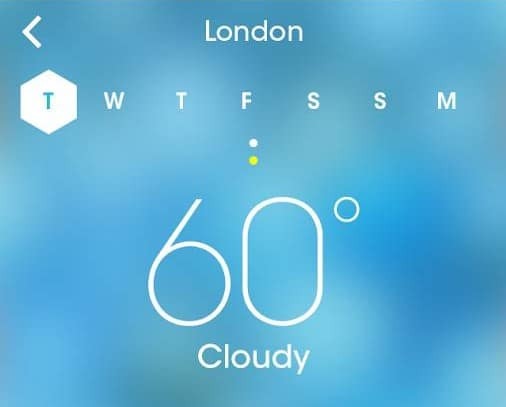 As a UK resident, I am a weather app hoarder. How many apps do I need to tell me it’s going to rain, I hear you joke. Sunnycomb is stunning, and one of the better ways to take a look at the weather on your device out there, it’s fluid, accurate and more than just a good-looking app, it’s a nice way to see images people have been sharing near you. So, with Sunnycomb I can see nice photos near me and around the world. The World Cup is coming, and it’s not as far away as you might first think. Either way, it’s always good to be armed with the right app, and who better to get coverage and content direct to your Android phone than ESPN? 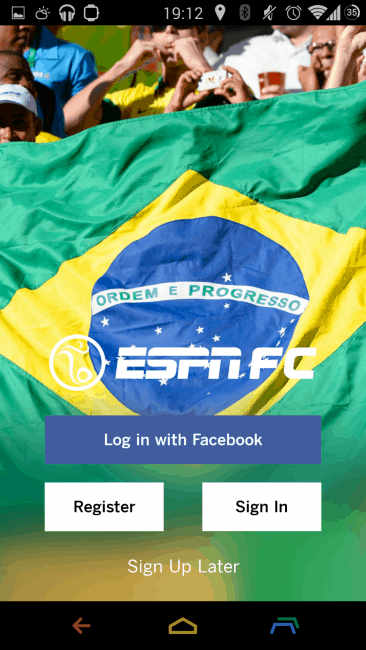 The awkwardly named app is a great app for all football, sorry, soccer fans and while it’ll be great to have for the World Cup, soccer fans all over the world should be able to find relevant content here. A nice and quick download from the Play Store, soccer fans should give this a go. While Google’s long, long overdue revamp of their camera software has been out for a little while, it’s still a great app. It’s unfortunate that it’s only available for KitKat devices, but we’re pretty sure that Google did this for a reason, after all we can imagine they want this on as many devices as possible. I wrote about why this was a bigger deal than we first think and after using it for the past month or so, I’ve been looking at my Nexus 5 in a different way. Before, Android’s primary shooter was just boring to use, difficult and clunky. 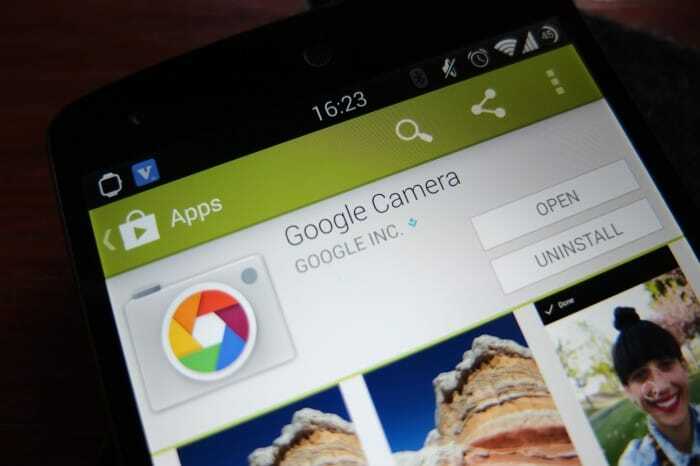 Now though, stock Android devices – and any device running KitKat – have a more fun, better featured way to take photos. Much to the ire of Samsung devotees, the Korean manufacturer no longer has the monopoly on using two cameras at the same time. 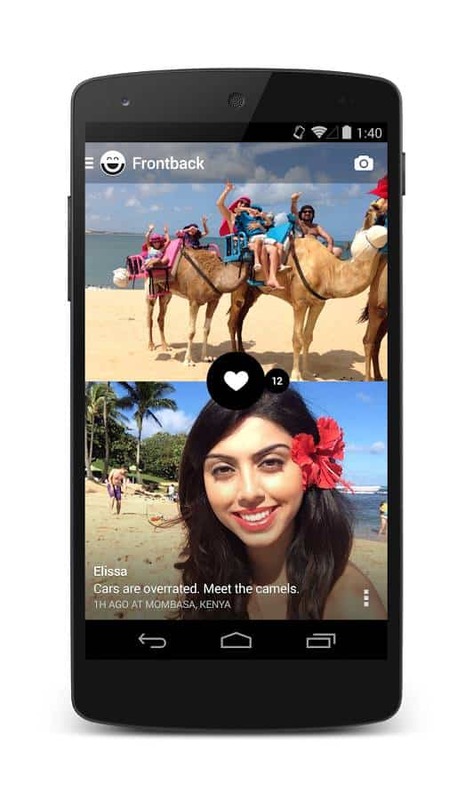 With Frontback, taking a selfie while snapping a holiday pic could very well become “a thing”. If being able to pull a funny face and show people why you’re pulling it appeals to you, then Frontback is your new best friend, and you can get it from the Play Store. If you want to be reminded of what photos you shared a few years ago, then Timehop will appeal to you and your friends. 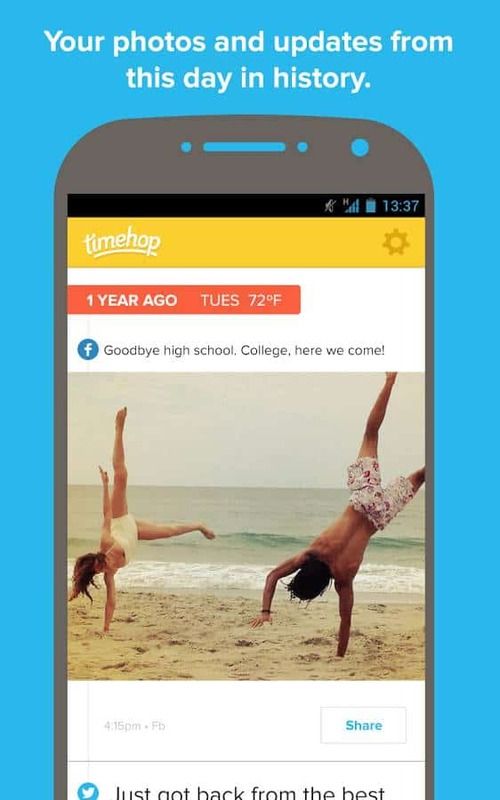 Essentially an app that flips the clock backwards and delivers you a new old photo every day, Timehop will be more useful for those that have shared a whole bunch of photos in the last few years. No matter how active you’ve been in the past however, you might be surprised at what Timehop will bring up for you. You can get it from the Play Store here. John McAffee might have gone off the rails a little in the last few years, but he still knows what makes a decent app. 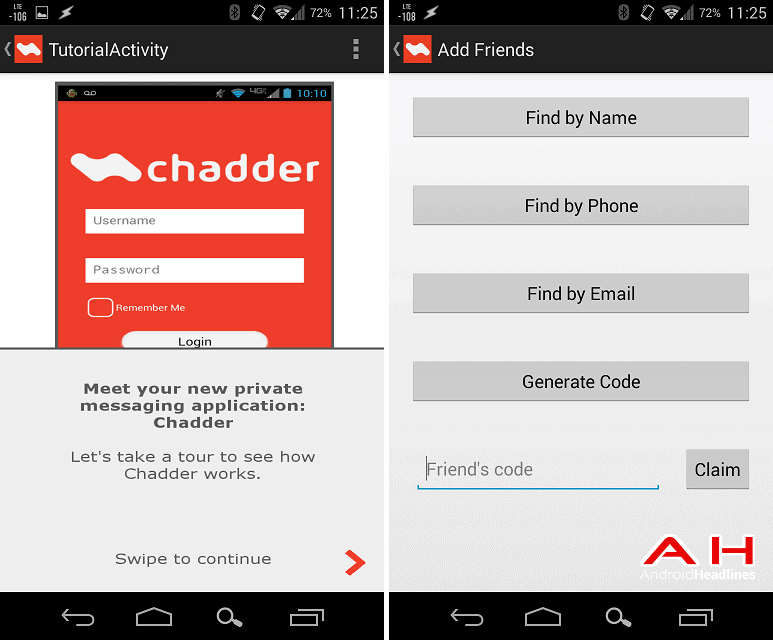 Chadder is that app and it’s basically a private messaging app for Android and Windows Phone devices. Designed around the idea of privacy, Chadder only ever asks for a username and password, you don’t even have to give it your email address if you don’t want to. It’s a basic app right now that hinges on the idea of a more secure and more private experience, and works just fine if that’s what you’re looking for. Rounding out our Top 10 this month is Google with another fresh app to hit the Play Store. We covered the news when they first launched and while these seem like boring app launches, a number of small businesses all over the world use Docs and Sheets to keep on top of things – for absolutely no cost at all – and launch separate apps might be a sign of bigger things to come on the mobile front. Right now however, it’s nice to see Google pay attention to two of their most popular features of Drive and users who live in Docs (like myself) and Sheets will be happy to see these. The post Featured: Top 10 Android Apps of the Month – May 2014 appeared first on AndroidHeadlines.com |.